What is electric wave surfing? Other than an electric surfboard, which is supposed to accelerate you to a speed that you can surf without waves, an electric wave surfboard is designed to catch the right wave for a normal surf experience. It can be quite hard to paddle fast enough to catch the wave at the right spot. 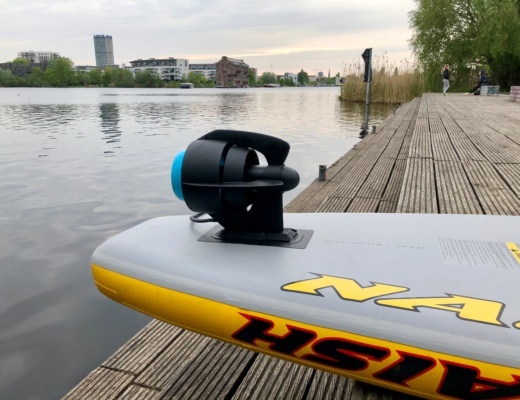 Imagine you have a motor in your board which can bring you exactly to the point where you need to stand up in order to ride the wave without any further help of a motor. Especially if you want to surf larger waves it is hard to make up the ride speed in order to drop into the wave. This is why in big wave contests the surfers get towed in by a Jetski. Imagine, if you can tell your electric wave surfboard to accelerate so that you can hit the wave at the right time. This is what electric wave surfing is about. The technology can also be used by rescue teams in order to get faster to the person in a dangerous situation. 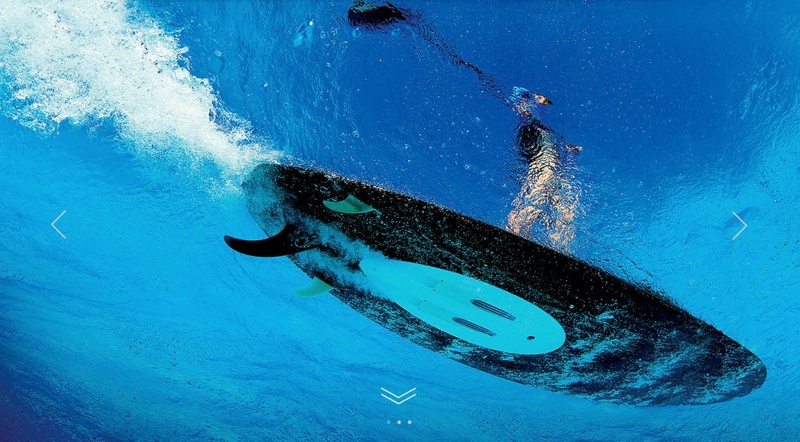 Wavejet from South Africa has multiple electric wave surfing boards to offer. They have designed their engine for kayaks, SUP’s and rescue boards, but let’s focus on the use case for traditional surfboards. Catch the wave in time. The 6’8“ model has a width of 23 inch (58.5 cm), is 3.5 inch (9 cm) thick, has a volume of 66.4 litres and weights 11.9 lbs (5.4 kg). It sells for about 3,363 USD. 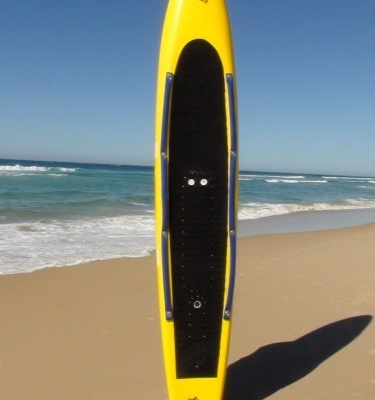 The 7’1“ model has a width of 20.6 inch (52.5 cm), is 3.3 inch (8.5 cm) thick, has a volume of 57.4 litres and weights 10.1 lbs (4.6 kg). 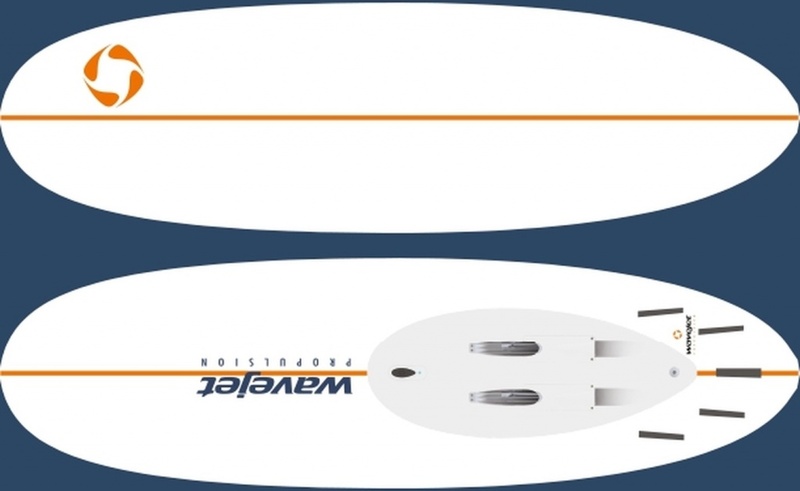 It sells for about 3,683 USD and is targeted for for surfers wanting to stick with the shortboard shape and good for beginners up to around 85 kg / 190 lbs, and experienced surfers up to 110kg / 240 lbs. The 8’0“ model has a width of 22.9 inch (58.1 cm), is 3.6 inch (9.2 cm) thick, has a volume of 81.2.4 litres and weights 14.5 lbs (6.6 kg). It sells for about 3,730 USD and is good for beginner surfers up to 100kg / 220lbs and very experienced up to 115kg /250lbs. The 9’0“ model has a width of 23.2 inch (59 cm), is 3.7 inch (9.5 cm) thick, has a volume of 100.4 litres and weights 17 lbs (7.7 kg). It sells for about 3,793 USD. This electric wave surfboard is great for noseriding, good for long carves with very good performance for a board with a motor under it. It’s very easy to catch waves in small to large surf. Targeted for beginners through to experienced surfers up to 125kg / 275lbs. 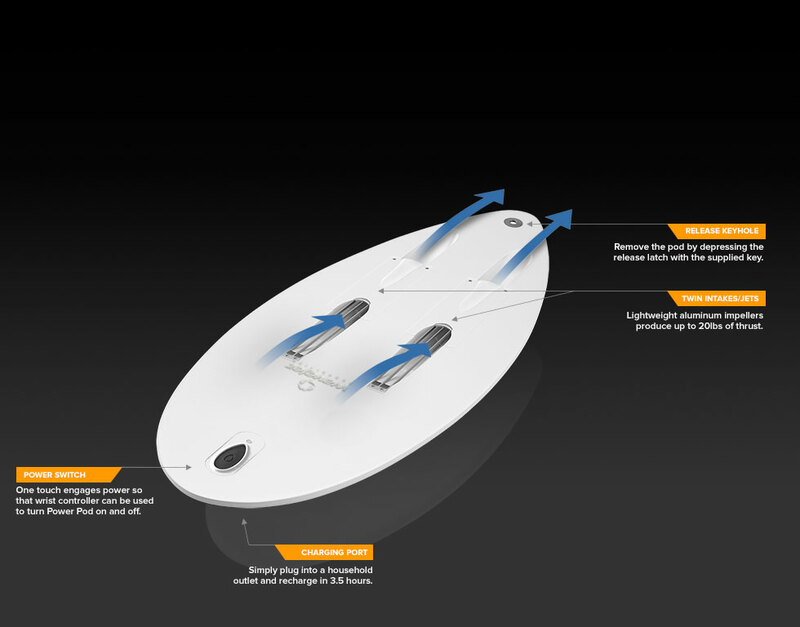 All electric wave surfboards from Wavejet come with the Power Pod. A battery powered jet drive build into the board. The wireless wrist controller controls the speed, indicates battery power and shuts down the jet if your are out of range. It takes about 3-4 hours to re-charge the batteries of the board which gives you a minimum of 30 minutes continues run time. 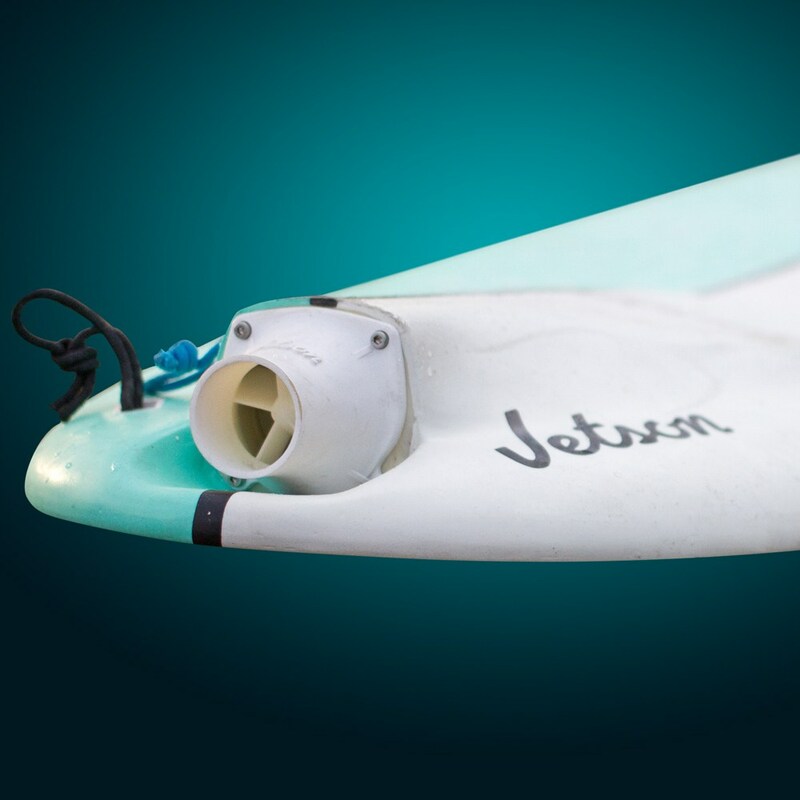 Also Jetson from Spain developed a boosted surfboard with miniature jet which helps you to catch more and bigger waves. 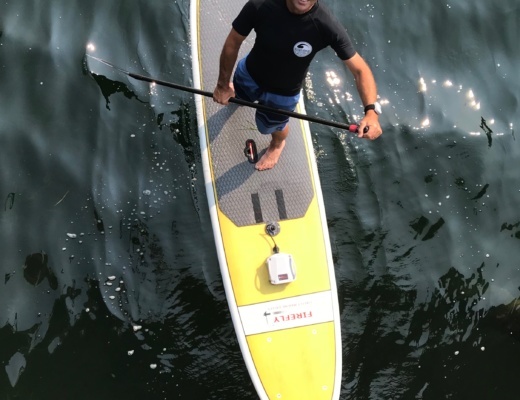 You have still to paddle on your own into the waves, but the electric wave surfboard gives you a boost at the right time so that you will not miss the wave. The GROUPER 9’3“ is a classic longboard for soul surfers, but also good for beginners and surf schools. The dimensions are 9’3″ x 23′ 6″ x 3.3″ and the weight 24 lbs plus 4.5 lbs for the battery. The WAHOO 8’ board with the dimensions of 8′ x 22″ x 3.3″ and a weight of just 23 lbs incl. battery is a fun shape for riding waves. The HADDOCK 6’8“ is targeted to surfer who want to improve their skills. With a size of 6’8″ x 21.5″ x 3.3″ and a weight of 20.5 lbs incl. 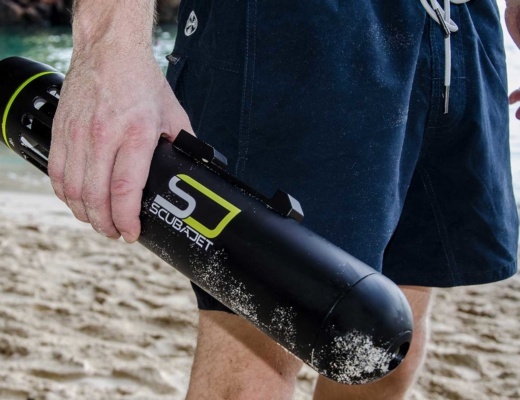 battery it claims the best shape to achieve rapid improvements. And last but not least the AMBERJACK 6’4“. This electric wave surfing board is just 6’4” x 19,½ “ x 3.3” and weights only 18 lbs incl. battery. This is the most radical shape for good surfers. All boards offer about 1 hours 30 minutes battery power in eco mode.